The 49-inch television from Intex could very well have been the best in the segment, had Intex not priced at so high. At Rs. 39,990, it's unable to outperform the much cheaper InFocus II 50EA800, which means the value for money is lesser. It's a good TV, just not the best. 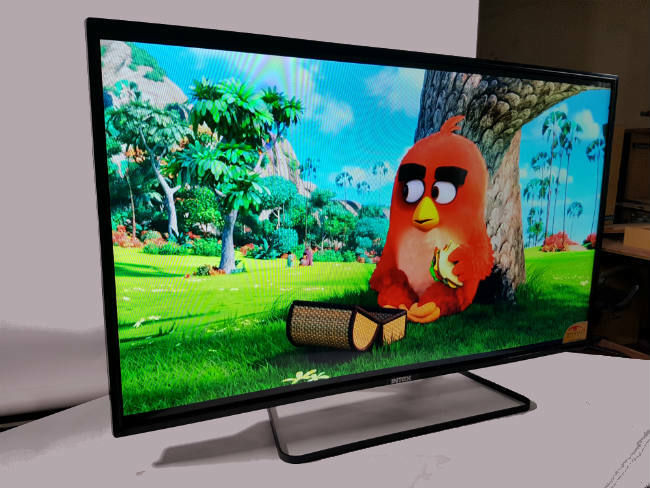 Indian consumer electronics company, Intex, is no stranger to televisions. True, the company’s focus recently has been on smartphones, but Intex first started selling TVs about a decade ago, back in 2006. Since then, the TV market has undergone a sea change. Companies like Vu, Micromax and most recently, InFocus, have been selling low-cost televisions with big screens. So, Intex is entering this market, with what can only be called an identical offering. The new 49-inch FHD television from Intex ranks up there with similar TVs from InFocus and Micromax. Having reviewed these TVs earlier, we know they provide pretty good value for money. So, can Intex live up to the same? This segment, currently, is very similar to the original budget smartphones. The emphasis on looks is minimum, with plastic being used on the bezels and strictly pedestrian looks. The InFocus II 50EA800 that we reviewed recently, had similar plastic bezels, but slimmer. 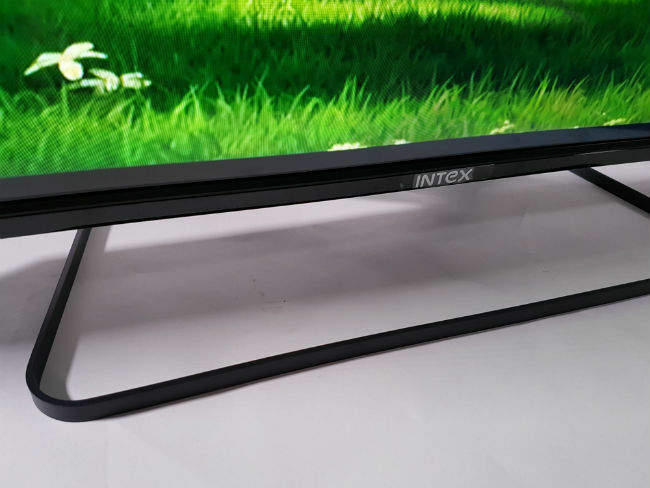 The Intex TV has slightly thicker bezels, but an overall smaller footprint. This, if you ask me, is good. TVs don’t particularly need to be compact, but the imposing size of the InFocus TV could be a problem for some. Also, it doesn’t wobble on a desk. The Intex FHD TV is a quintessential budget television, and design wise, it works. It bulges on the back, in order to fit the ports console, but overall, it’s the same build as any other TV in its price range, with the same features. The InFocus II-50EA800 has only one USB port, as does the Vu Play Series TV in this same price range. Intex though has added an extra USB port, and in our book, that gives it a pretty big edge. 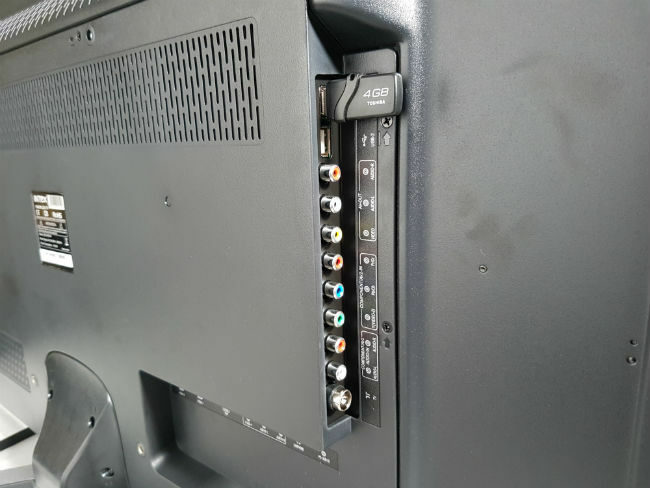 Attaching a Chromecast to this TV, we could use one port for powering the Chromecast, while having another one to play other devices. Speaking of the Chromecast, the rear console, housing the HDMI ports doesn’t have the same problems as the InFocus and Vu TVs. In those, the console is cut out in such a way that some HDMI cables, or a first generation Chromecast wouldn’t fit. That problem doesn’t arise in the Intex TV. The remote is also pretty responsive. Between our unit of the InFocus II-50EA800 and this one, we would any day prefer this remote. The InFocus TV wouldn’t catch the remote’s signal, except from certain angles. Like its compatriots, the 49-inch Intex FHD TV excels in picture quality, given the price. It’s bright enough, and does a contrast ratio of about 240:1 at 50% brightness, according to our tests. This is just below the InFocus II-50EA800, but still works. Where the Intex TV is slightly weak is in its Black levels, and it’s not the best in terms of whites either. As a result, it isn’t very good at dealing with shadows. To be clear, the Intex TV does well with the colours, but the InFocus TV was better. We found that the TV does 67% of NTSC and 97% of sRGB colour gamuts, compared to the InFocus’ 73% and 100% respectively. As most budget televisions go, it’s not the best with SD quality videos, but as long as you can provide good content, you should be fine. Watching content like Daredevil on Netflix, which has a lot of blacks, the Intex TV isn’t the best, thanks to its black levels. However, it does pretty well with brighter colours, like red and green. Watching Top Gear on this TV, a Ferrari looks as red as can be. In terms of loudness, it’s better than the InFocus II mentioned above, and should work for medium-sized rooms. While the Intex LED 5010 Full HD television is a very good budget offering, it’s Rs. 39,990 price tag is a downer. Priced at the higher end of the budget spectrum, it can’t outperform the cheaper InFocus II-50EA800 in many areas, which means you get lesser value for money. The Intex LED 5010 Full HD television is a very good TV that just falls short of being the best in this segment.